At Christensen & Co., every single project is an opportunity to realise a unique architectural potential. People are at the centre of all our projects and we strive to create architecture that strengthens and supports social interaction. We work holistically, which means that the surroundings, the programming, and the users all contribute to the character and identity of our architecture. We build vibrant social environments in close collaboration with the people who populate our buildings. Good architecture makes a difference, and architects with intention, empathy and thoroughness create buildings that can actively change people’s lives. 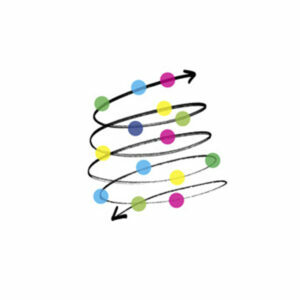 Consequently, we do not have a design manual, but rather see every single project as a unique journey, from abstract idea to physical manifestation. For us, sustainability is about creating beautiful architecture with progressive, innovative energy solutions that ensure long-lasting quality of life for people and the environment. This means that our buildings, both in terms of their aesthetics, social ambition, materials, and technology are made to last. At our office in Copenhagen, more than 50 dedicated and talented colleagues work with projects throughout Scandinavia.Since 2006, we have made architecture that challenges conventional thinking. 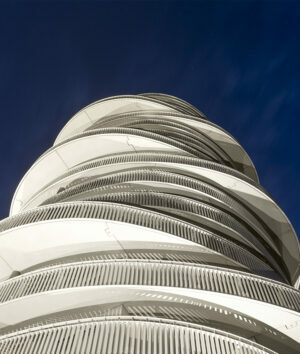 This has resulted in a wide range of buildings, which has received international recognition and awards. Our portfolio includes culture and sports facilities, institutions, advanced educational buildings and universities, as well as commercial and residential properties. Christensen & Co. is an award-winning international architectural practice based in Copenhagen, Denmark, founded by Michael Christensen in 2006. Today, the partner group consists of Creative Director & Founding Partner Michael Christensen, CEO Vibeke L. Lindblad and Thomas Nørgaard, Mikkel H. Sørensen and Michael Larsen. Our innovative student housing with basketball court and rooftop running track that can be used for skiing in the winter was awarded the Swedish architectural prize Bostadspriset 2018. 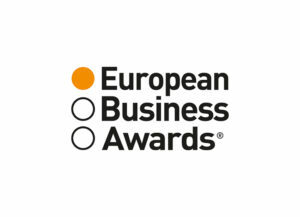 Both we and Rosendals Fastigheter are very happy to receive the award. We are so proud Nærheden School was commended in the Civic & Community category AR Future Projects Award in 2019 at the MIPIM Real Estate Conference and Events. The K.B. Hall was inagurated by HRH Crownprince Frederik in a festive ceremony. The K.B. Hall has since the fire in 2011 risen like a phoenix in a modern interpretion of the historic K.B. Hall from 1938. 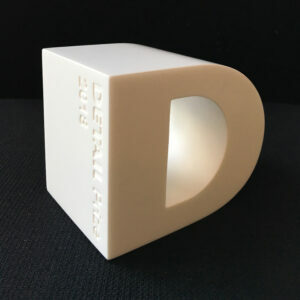 We are honored that DTU 202 the Biosphere have won the Detail Award – special prize inside. 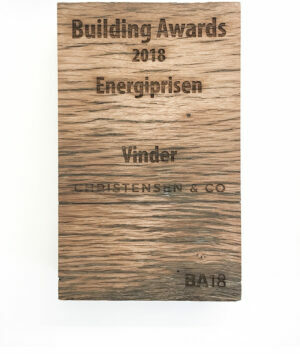 We are very proud to receive the Building Award Energy Prize 2018 for our Kistefossdammen Kindergarten. 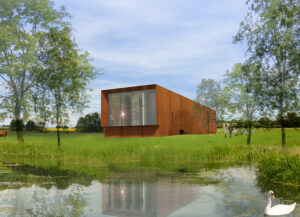 We have won the competition for SKIF in Skævinge. 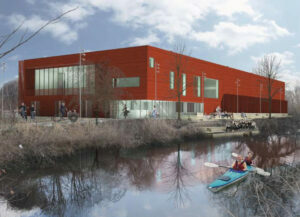 The project is a Community Centre of Arts, Sports and Leisure. SKIF will be aplace where the whole community in the village of Skævinge will meet. The new building is a modern interpretation of the existing sports hall and new and old complement each other. 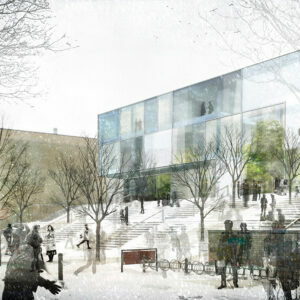 We have won the competition designing the new Østerbro Ice Rink, our team includes Rambøll, DEAS and CASA. This year, we highlight our project Hafnia Sports Hall and how it contributes to the UN global goals. 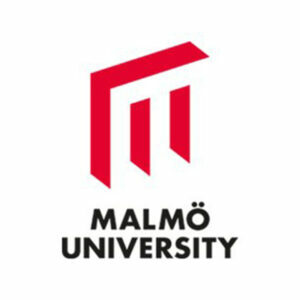 We are one of six winners of a two part framework agreement with Malmø University. We’ve teamed up with BS Arkitekter for the first part focused on designing learning environments, and Langvad Arkitekter for the second part, which is creating laboratories and research facilities. We have won the competition for Denmark’s first school, based on the so-called 21st Century Learning Skills, placed in Høje-Taastrup. Our team includes Kjaer and Richter, 1: 1 Landskap, Søren Jensen Engineers and disruption advisor. 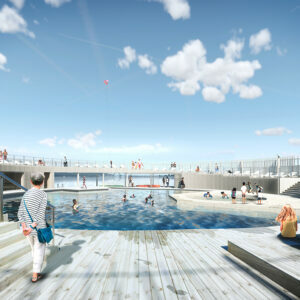 We have won the competition for a new harbor bath in Frederikssund, in collaboration with Marianne Levinsen Landscape and MOE. We’re one of two teams that will continue in the competition for a unifying House of Martial Arts, placed on a central corner in the outskirts of Nørrebro, Copenhagen. As a powerhouse of martial arts, the new building will unite a wide range of activities from Karate to Tai Chi and yoga. Our team comprises Kjær & Richter, 1:1 Landscape and Søren Jensen engineers. 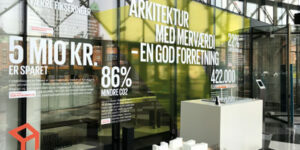 Our model of DTU Compute, is part of Danish Industry’s exhibition “Architecture creates value – a business case”. The exhibition showcase models that exemplifies how Danish architects and designers make environment, usability, health and economy meet to create buildings and urban areas with added value. The exhibition is located at the foyer of Danish Industry; the Royal Academy of Fine Arts and Danish Association of Architectural Firms curate the exhibition. We are honored to receive The Carpentry Award 2017, which is awarded by the Copenhagen Carpentry Guild. DTU, Rørbæk & Møller architects and Christensen & Co. Architects received the award for the atrium of building 202 at DTU in Lyngby. Our Educational Building for engineer students at the Royal Institute for Technology (KTH) in Stockholm was officially opened during the 100 year anniversary of the KTH Campus. We have transformed the former Club Denmark Hall into a multifunctional univers for all kinds of sporting activities. At the opening, the Mayor of Copenhagen highlighted that the hall creates a community where the facilities support synergy between activities. 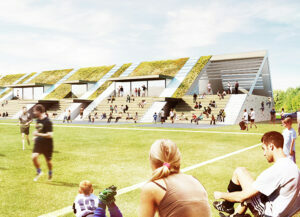 We have won the competition to design a new modern sports complex in Slagelse. The patterns for how to exercise has changed during the last decade as multiple new options for sporting activitieshas emerged. 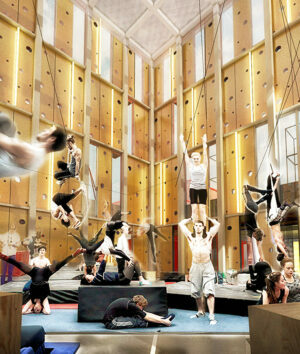 With the new sports complex we aim to create a facility, which caters for the future of exercise. We have teamed up with MASU Planning and Rambøll for the project. 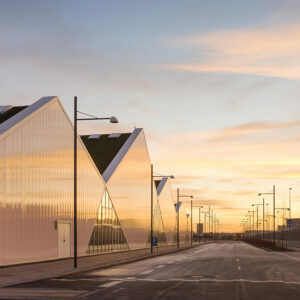 Our Terminal buildings for CPH City & Harbour Development (By og Havn) are nominated for the A+ Awards, which aims to promote and celebrate meaningful architecture that has a positive impact on everyday life. Our terminal builidings has seasonal functions: During the summer, they handle ‘turn-around’ cruise ships, whilst they host concerts, cultural events and exhibitions over the winter. We are excited to participate in the 2016 Danish Pavilion at the Venice Biennale, showcasing a large spectrum of Danish architecture. 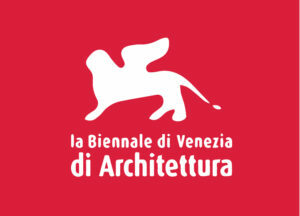 This year Pritzker Prize winner Alejandro Aravena from Chile curates the Venice Bennale, and the theme for the main exhibition is “Reporting from the Front”. Here the Danish pavilion will demonstrate how Danish architecture has responded to social, environmental and economic challenges; our Green Lighthouse is one example. (VIDEO) Watch Christensen & Co. Partner Thomas Nørgaard explain the main drivers behind our work to create user-friendly, sustainable buildings for the future. Founder Michael Christensen continue as creative director while Vibeke L. Lindblad becomes CEO and partner. Thomas Nørgaard, Mikkel H. Sørensen and Michael W. Larsen are also part of the new group of partners. All have been with Christensen & Co. Architects for a number of years. 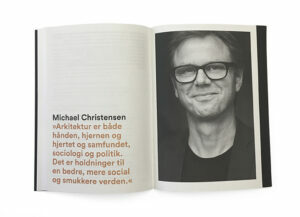 Michael Christensen is one of ten architects that accounts for what drives their work with architecture and design. In the book Michael reflects on how architecture can create a better, more social and beautiful world and then elaborates on why architecture is both a question of sociology, society and politics, created by hearts, hands and minds. The book can be bought at www.arkfo.dk. Architect Thomas Nørgaard talk about our holistic approach to sustainable projects, at Harvard Center for Green Buildings as part of the conference “Sustainable Scandinavia”. 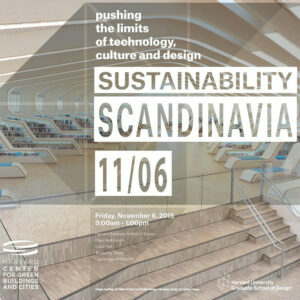 The conference is a collaboration between Harvard and CINARAK – The Architecture School in Copenhagen, and it will feature a number of Scandinavian architecture companies. Our educational building DTU-Compute has received the municipality of Lyngby-Taarbaeks award for good and valuable architecture. The judges committee finds that DTU-Compute is a beautiful completion of a new area of DTU’s Campus. They highlight the architectural value of the indoor trees, the building’s web of staircases and walkways along with rich views of the surrounding greenery. We have won the competition for two new buildings with laboratories and research facilities at Technical University Denmark (DTU). Our team comprises engineers Wessberg-Norconsult and Cubic Group. The two new buildings are designed to fit smoothly into the existing masterplan and the building topology at the campus in Lyngby. 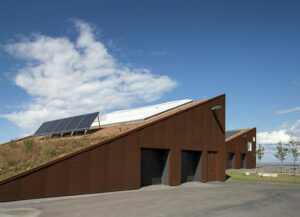 Read about both our Green Lighthouse and the KMC Environmental Center in The Atlas of European Architecture. 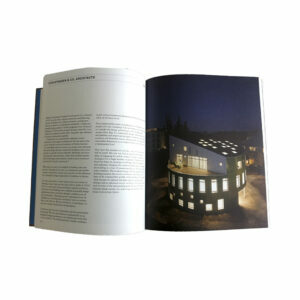 The book showcases the exciting esthetical, technical and typological diversity. We have won the competition for the new K.B. Hall with a strategy that identifies a number of significant traces of architectural DNA. Our architectural strategy focus on the hall’s historic role as a cultural icon, and it elaborates on a thorough analysis of the cultural value of the hall, performed by Professor Christoffer Harlang. 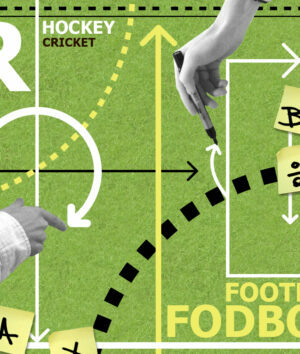 The client is the historic Copenhagen Football Club (KB), which was founded in 1876. The four prequalified architectural firms for the competition were: BBP, CEBRA, GPP and Christensen & Co. Our winning team consists of landscape architect Marianne Levinsen and Ramboll egineers. 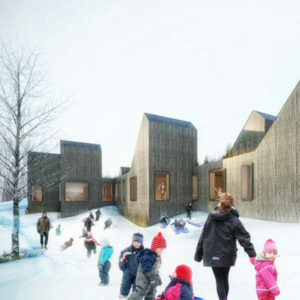 We have won the competition to design a new PlusEnergy nursery in Asker, which is part of Oslo municipality. 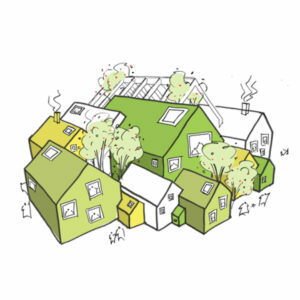 The project is part of the FutureBuilt initiative, which is a collaboration between three municipalities in Norway that will create climate friendly buildings with a high architectural quality. We will create the nursery in collaboration with Engineers MOE in Norway and Henrik Sørensen from Henrik-Innovation. Amongst the competing architects were Snøhetta, Ratio, PIR II, Lala Tøyen og Skajaa. We are among the winners of the first phase of the competition for the acute admissions unit for the New Hospital Bispebjerg in Copenhagen, covering 78,000 m². Three teams out of seven, has been chosen for phase 2. Our team consisting of COWI, NORDIC (N), AART, Marianne Levinsen and Christensen & Co.
We have won the competition to design the new University building for Linné University in Kalmar, Sweden. 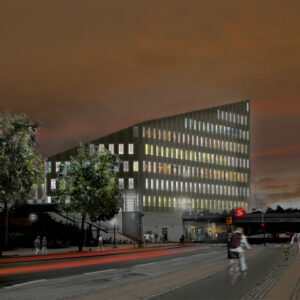 The new building will cover 19,000 m² and it will be part of a major rebuilt at the University Campus in Kalmar. 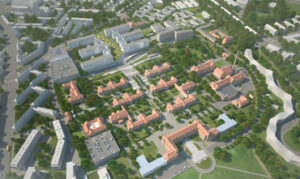 The vision is to create a modern international campus, well integrated into the city of Kalmar. Our new building will welcome students in the summer 2018. We are honored and overwhelmed to receive not one but two of Copenhagen’s architectural prizes for 2014. Both the Terminal buildings in Nordhavn and the red Hal at Christianshavn was rewarded during an award ceremony held at Copenhagen City Hall. 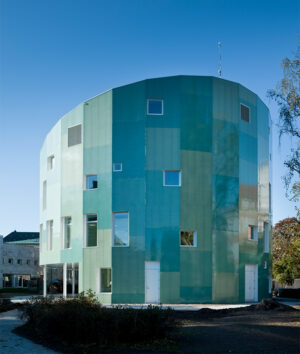 We are proud that our Lund City Hall has been nominated for The Kasper Salin Prize 2014 in Sweden. Since 1962, the price has been awarded annually to a building of high architectural standard by the Swedish Association of Architects, and is considered to be the most prestigious architectural prize in Sweden. Christensen & Co. is co-founder of the new association for social responsibility in the construction industry. The newly established association will contribute to create cooperation and a good working environment, along with sustainability and a constructive stakeholder dialogue in the industry. 42 companies participated in the constituting general assembly. The Charter was developed by the Realdania Builders Association and the Responsible Assets consulting company. 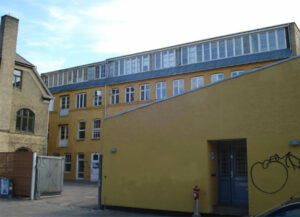 We have won the small tender for a new building for Kastelsgården kindergarten in Copenhagen. The building will be 1450 sqm and fit in with the original kindergarten and the surrounding area, which includes embassies, a park and old Copnehagen residential buildings. With more than 1000 votes, Twister has been announced as building of the year by Estate Media. The circular residential tower has 28 wonderful apartments with 360 degree views of the ocean to one side and most of Copenhagen to the other. We have won the Framework Agreement for University Properties in the Capital Region and the Region of Zealand. 7 teams have been appointed for the framework agreement, which we look forward to be part of during the next 2 years. On the team we have ALECTIA as advisors. 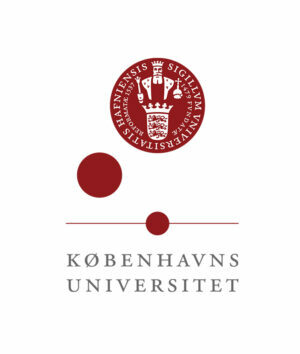 We have won a Framework Agreement for the University of Copenhagen’s Campus Service Science. The framework agreement covers projects at both Nørre Campus and Campus Frederiksberg and it runs for a year. We have ALECTIA on board the team as engineers. 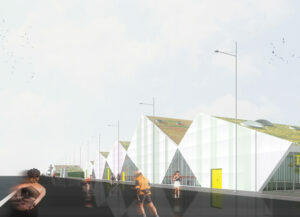 We have won the competition to design the new Ice rink for Ørestad in Copenhagen. The new Ice rink is placed next to the future Copenhagen Arena in Ørestad and will be approximately 6000 m². We will work together with engineers Wessberg, Landscape architects PK3 and ice rink specialist Vida Havellen from Norconsult in Norway. The Association of the enhancement of Copenhagen’s aesthetic qualities has awarded our building, Nordhavn Environmental Center with the Architecture Prize 2013. In the motivation the judges highlights the surprising aesthetic concept of the building, coupled with a clear intention to form a platform for innovation of new design solutions and circular economies, which challenges the traditional way of creating architecture from a de facto strategy. The jury hopes that the building industry’s actors will be inspired by the Environmental Center. The jury concludes that CCO has created the most beautiful symbiosis between aesthetics and sustainability with the center. 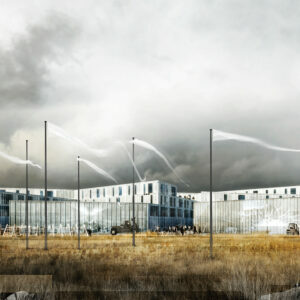 CCO, PK3 and MOE have won the competition for a new HQ for Helsingør Power Plant. Our winning proposal focuses on creating a beautiful and sustainable operating center, with a key feature being that the new building supports the power plant’s identity and future needs. In the design we have created an environment that promotes synergy and interdisciplinary collaboration across different professions. Inside and out, the new center will enhance and support the power plant’s focus on sustainable supply technologies. 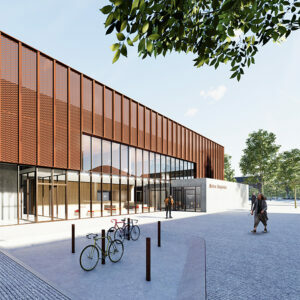 Along with Ramboll we have won the small competition for renovating and reviving the largest sports hall in Denmark, as part of our framework agreement with Copenhagen Municipality. The Club Denmark Hall in Valby is 78 meters wide and 177 meters long. In December 2010 part of the roof collapsed and since the hall has been vancant. We are looking forward to transform the facilities and open the hall up for physical activities and social interaction in Valby. 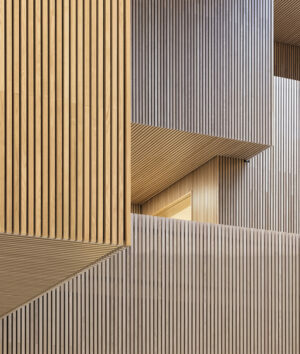 Our projects Green Lighthouse, DTU Building Design B127 and Lund City Hall are part of the publication Architects in the Nordic Countries Ebbs & Flows – Nordic Architects. 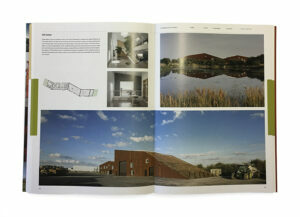 In the second edition of the publication, the publisher Arvinius + Orfeus has collected new works from Nordic architects. The book is edited by David Sokol. 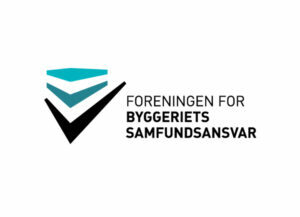 We have won two tenders for framework agreements with Copenhagen Municipality. During the next two years we will work together with Rambøll engineers and we can’t wait to find out what kind of projects will part of the agreement. CCO has been appointed Gazelle for the third year running. Signifying a company in growth and inspired by American economist David Birch, Gazelles are identified as companies large enough to encompass competitive advantages whilst simultaneously being small enough to manage dynamic changeability. We have won the competition to design the new Educational Building for the Swedish Royal Technical University; KTH in Stockholm. KTH is the largest, oldest and most international technical university in Sweden. Our new building covers 3500 m² and will occupy a central place on campus in Stockholm with the aim to provide KTH with a modern, innovative environment for the education of the future. Our new Tennis Hal, SEB arena in Uppsala, has been nominated for the Swedish building industry´s; Building of the Year Award. 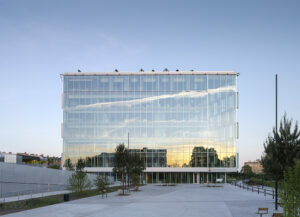 Each year a number of new buildings are identified to compete for the prestigious award. See more information on the sentiments behind the nomination of the Tennis Hal HERE at the Swedish on-line building industry web page. 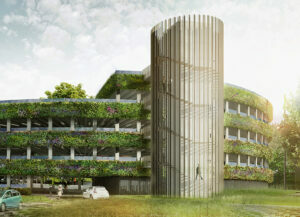 In collaboration with E. Pihl & Son and Grontmij, we have won the competition to build a new multi-story car-park for Glostrup Hospital, north of Copenhagen, containing 400 parking spaces. The hospital is currently expanding and renewing the facilities and the new car-park will add to the modernization of the area. The sustainable car-park has solar panels incorporated along the façade and its sustainability focus ensures a minimal carbon footprint. CCO has won the competition to design the new extension to Gentofte Sports Park Phase 3. The Sports Part is located to the north of Copenhagen and the project encompasses a new arena, communal areas and outdoor sports facilities. 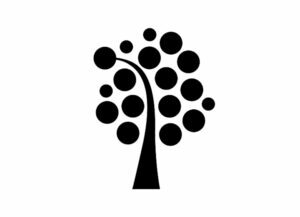 Our team consists of NORD architects, Kragh & Berglund Landscape, engineers Balslev, Oluf Jørgensen and Christensen & Co. Architects. 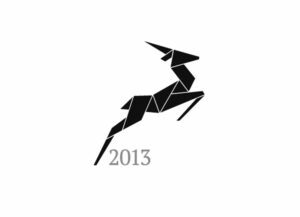 For the second year running, CCO are honored to be appointed Gazelle by the Danish business newspaper, Børsen. The appointment signifies a company in growth and it is inspired by American economist David Birch. Gazelles are identified as company´s large enough to encompass competitive advantages and simultaneously being small enough to manage dynamic changeability. 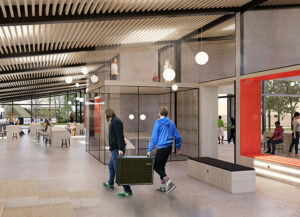 We have been announced winner of the competition to design the new sports hall for Campus Ringsted, – south of Copenhagen. 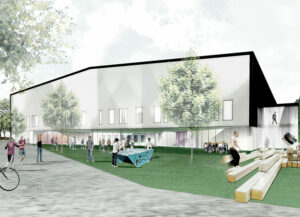 The future sports hall will combine design, sustainability and outdoor areas to connect the new building with the existing surroundings. Sports activities and communal social gatherings will be supported with this new addition to Campus in Ringsted. We have teamed up with Marianne Levinsen Landscape Architects and engineers Grontmij for the project. We have won the masterplan competition; Ejby Business area, together with Dutch Landscape architects OKRA, Active City Transformation and Smith Innovation. Ejby Business area covers 70 ha and the proposal includes sustainable visions for landscape, traffic and business strategy. 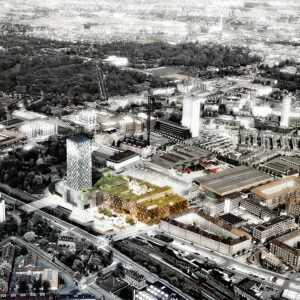 The competition included Fosters + Partners with Danish company 1:1 Architects and Entasis. In a team with contractors Jönsson and engineers Dines Jørgensen, CCO has won the competition to design a new clubhouse and stand for Allerød Football Club. The triangular-shaped stand and clubhouse signals an end to the familiar container style clubhouse and will be a recognisable signpost for the club. The clubhouse is designed as a modern backdrop to the activities on the field. CCO have been announced winners of the competition to design the new research and educational building for Technical University Denmark. The new building will house DTU-Aqua, DTU Veterinary and DTU-Food engineering. 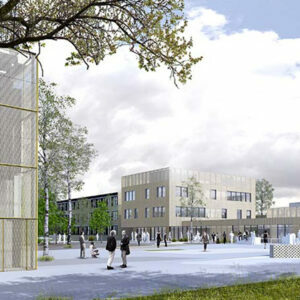 The laboratory heavy programme will cover 40,000 m2 at the Lyngby Campus. 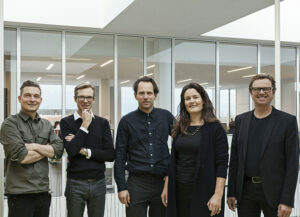 Our team comprises engineers COWI, Rørbæk & Møller Architects, Wessberg, Schul Landscape Architects and CCO. 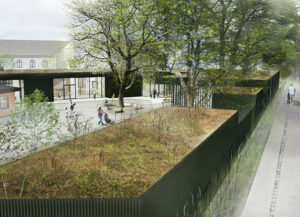 We have won the competition to design a new nursery on Islands Brygge in Copenhagen. The new nursery will house between 80 and 150 children, and will be located on a piece of land sitting beautifully by the harbor. We have teamed up with Kerstin Johansson Landscape and engineers Rambøll for the project. 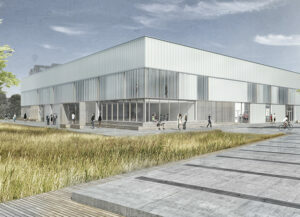 We have won the competition to design a new educational building at Technical University Denmark (DTU), Lyngby Campus. The new building covers 2000 m2, and it will house a brand new line of education at DTU, a mix of engineering and building designers, with a focus on sustainability. 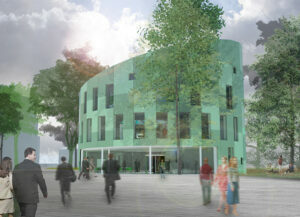 The building will welcome new students from the summer 2013. We are on a team with engineers Alectia and contractors E. Pihl & Son. 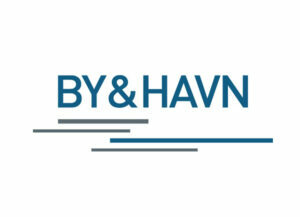 CCO and Rambøll are going to develop Smart House concepts for residential and office buildings in Nordhavn, Copenhagen. The project is initiated by Copenhagen Municipality, the Ministry for Climate Energy and Construction and CPH City & Port Development. 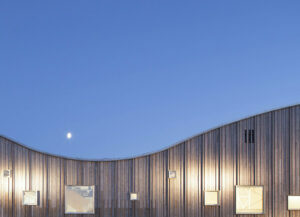 Our Kindergarten, the Sunhouse has been rewarded building of the year by byggeri.dk, an online building magazine. Every year the magazine rewards exceptional buildings under three catagories; residential, business and an open category. Our Sunhouse won the award in the open category. 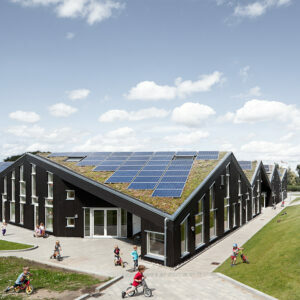 Our energy producing kindergarten the Sunhouse has received an award for aesthetic and good construction. The jury highlights that: ‘the Sunhouse is positioned with determination and sensibility on a difficult site, which is underlined by the building’s dark triangular wooden facades and angled green roofs. (…) The house is an exceptional example of how good architecture is more than well-proportioned spaces and aesthetic. Rather this is an example of a holistic approach where all aspects of human well-being and climate optimization is integrated’. 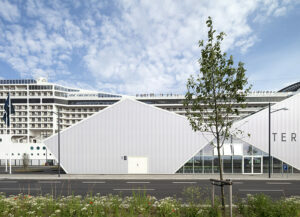 Christensen & Co. Architects has been appointed Gazelle 2011 by Danish newspaper Borsen. 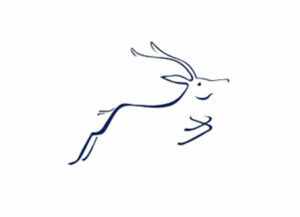 The paper has appointed Gazelles in Denmark since 1995, inspired by American economist David Birch. In terms of growth generation, Birch divided companies into; Elephants, Mouse and Gazelles. Gazelle are companies that experiences an extended period of rapid growth. 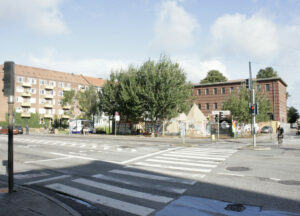 We are designing a new multifunctional sports hall for the Christianshavns area of Copenhagen. 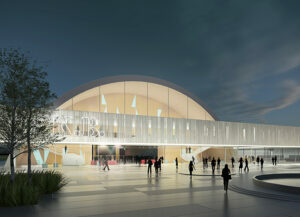 The new sports hall, will neighbor a number of creative educational institutions to one side and the Opera to the other. It will bring indoor sporting possibilities to this the part of Copenhagen, which also houses the famous freetown Christiania. CCO are joining forces with Ramboll Engineers and 1:1 Landscape Architects. We have been announced winners of the competition for Lot#8 – the redevelopment and new-build project on the Carlsberg site in the heart of Copenhagen. Danish Beer Company Carlsberg decided to move the production of beer from Copenhagen to Fredericia in 2006. More than 160 years of brewing had come to an end, paving the way for new possibilities in the area. 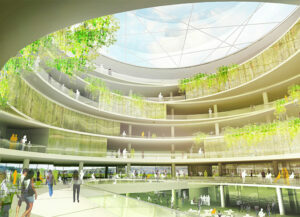 The project covers 80,000 m2 new-build for residential and education, and redevelopment of 7500 m2. Our team consists of Vilhelm Lauritzen Architects, Christensen & Co architects, COBE, EFFEKT and Nord Architects. 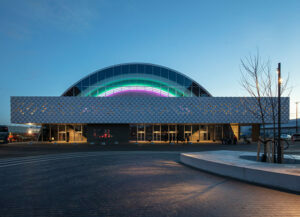 CCO has won the competition for the expansion of The Roskilde Sports Halls. The competition project, which was made ​​in collaboration with Jönsson and Wessberg Engineers, includes 5000 m2 new sports hall, café, restaurant, changing rooms and meeting rooms. 6 teams were invited to the competition. 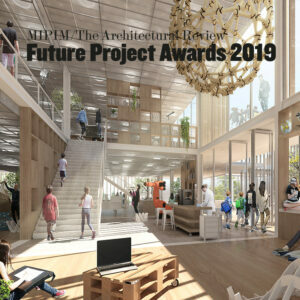 Our project Niels Bohr Science Park (the Niels Bohr Building) for Copenhagen University, has been ‘Commended’ in the MIPIM Architectural Review Future Project Awards 2011. 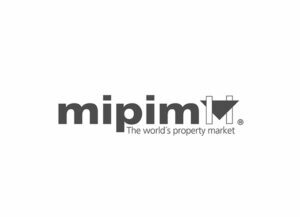 MIPIM is the world’s premier real estate event for professionals. We work together with Vilhelm Lauritzen Architects. We have won the competition to build an extention and refit for international medical equipment company AMBU’s headquarter in Ballerup, just outside Copenhagen. The project is made in collaboration with contractors Jönsson and engineers Rambøll. Green Lighthouse has been nominated for one of World Architecture Festival’s awards. 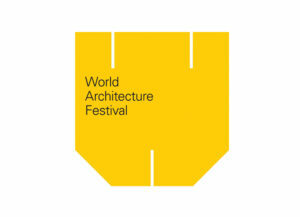 The international architecture festival takes place 3-5 November 2010 in Barcelona. 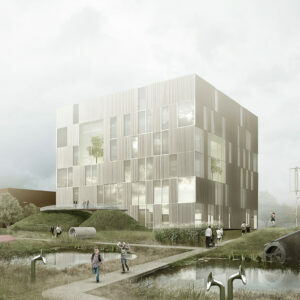 We have won the competition for Niels Bohr Science Park in Copenhagen. The new laboratory and educational building for the Science Faculty at The University of Copenhagen will cover 45.000 m2. 5 teams were invited to participate in the competition. Amongst them; Henning Larsen Architects, Schmidt Hammer Lassen, KHR architects and GMP International Architects. Our team comprise Christensen & Co. Architects, Vilhelm Lauritzen Architects, Rambøll, GHB Landscape and Colin Gordon Associates. 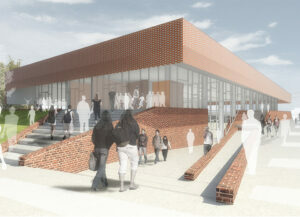 CCO have won the competition to design Roskilde Technical School. A visionary and challenging concept to assemble the various strands of the school under one roof next to the Muscicon area in Roskilde. The new school will occupy 17,000 m2. 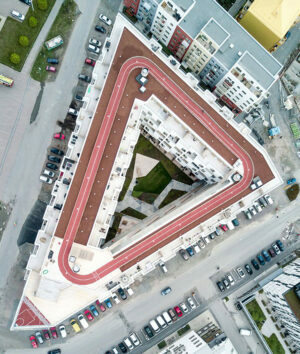 The competition was: Kant Arkitekter, Dorte Mandrup, C.F. 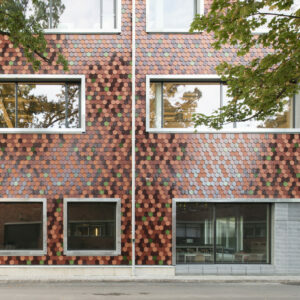 Møller, Arkitema K/S, Site A/S og Cubo Arkitekter A/S. We are joining forces with engineers ALECTIA and Kragh & Berglund Landscape for the project. 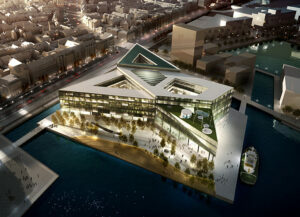 CCO is on the winning team to design Navitas, the new iconic education facility on Aarhus Habour. 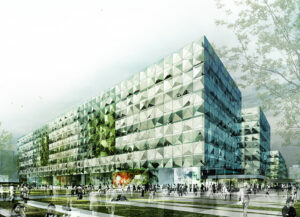 The building will be Denmark’s largest low energy building, covering 35,000 m2. It will house Aarhus School of Engineering, Aarhus School of Marine and Technical Engineering and INCUBA Science Park and provide facilities for education, development and training with a focus on energy. The winning team is E. Pihl & Son, Kjaer & Richter, Christensen & Co. architects, Marianne Levinsen Landscapearchitects and ALECTIA. 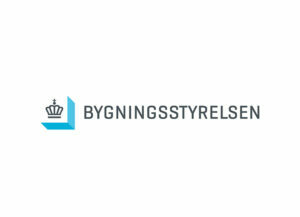 CCO is to design a new research and education buidling for Denmark’s Technical University, Lyngby Campus. 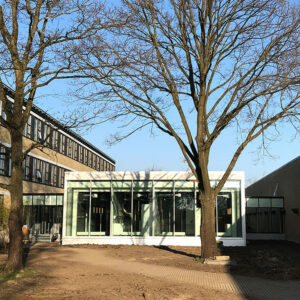 Research and education will come together in a playfull green environment connecting the various modules of the Technical University. 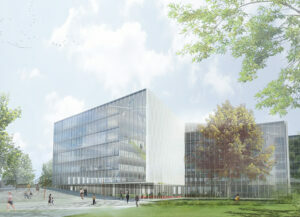 The new building will cover 4500 m2 and will be finished in 2012. 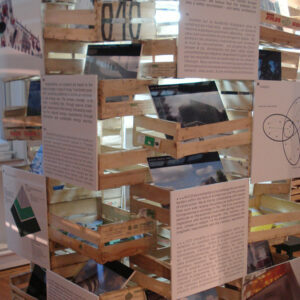 The competing teams was Danish architects; 3XN, BIG, Lundgaard & Tranberg and COBE/Transform. 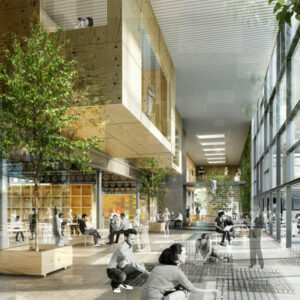 Christensen & Co. Architects has won the international competition to design the new city hall in Lund, Southern Sweden. 78 international architects applied, 5 were chosen for the competition stage. 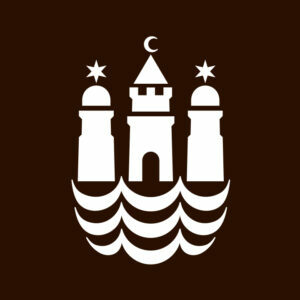 The City Hall, will be app. 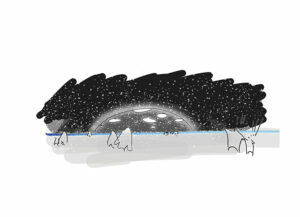 23,000 m2. The competing architects were: 3XN (DK), Tony Fretton Architects (UK), Lund & Valentin architecture (SE) and FOJAB Architects (SE). 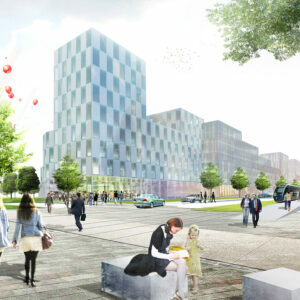 CCO has just been announced as winners of the competition to design a new office and retail complex in Valby, Copenhagen. The project covers 12,000 m2 with retail on the ground floor and offices above. The wedge-shaped house let’s in the green landscape along the southern façade and culminates in a significant urban facade facing the train station and main street. The building utilizes the specific location to create a distinctive architectural expression that has an integrated ambitious energy concept. 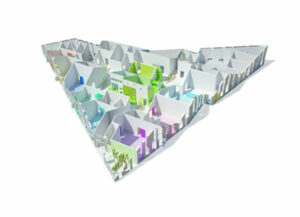 Holberg Fenger Group is the developer and the other participating architects in the competition was C.F. 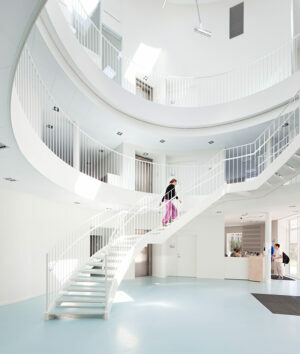 Moller Architects, MAPT, EFFEKT and 2+1. 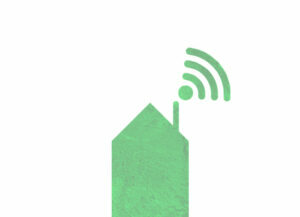 Green Lighthouse, Demark’s first public CO2 neutral building has been awarded the Innovation Prize by Danish Industry. The building’s concept maximizes the use of renewable energy without compromising the architectural composition or the indoor climate. Christensen & Co. Architects has just been announced winners of the cutting edge green project; Sunhouse – An active house nursery in Hoersholm. The project is made in collaboration with Hellerup Byg and Ramboll. The many sustainable initiatives means that the nursery will produce more energy than it uses. CCO has won the competition to build the new Road and Bridge Museum, in collaboration with engineers Rambøll and contractors Hellerup Byg. 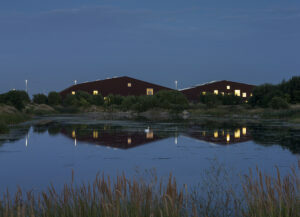 The new museum will cover 500 m2 and is placed in Holbæk just outside Copenhagen and is due to open in 2011. The museum will perform registration, research and dissemination of the road and bridge construction history in Denmark. Almere Costal Zone, a new town north of Amsterdam in Holland, is an ambitious sustainable masterplan which will transform the barren sand dunes to a lively new urban area. Bio diversity, urban variation and sustainability are the central elements. The Complete area is 1 km². 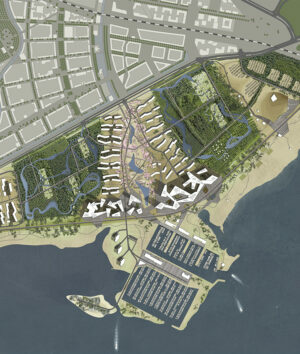 We have just won two framework agreements for CPH City & Port Development. The agreements include services for buildings and planning tasks. The two agreements run for four years. We are part of an exhibition showcasing nine Danish architectural offices that specializes in responsible and sustainable architecture. The exhitbion is organized by the Danish House and the Danish Embassy in Paris, it is staged through a large installation consisting of no less than 2000 Parisian fruit boxes. CCO is to design a new Cruiseship terminal for the upcoming area in the Northern part of Copenhagen, in collaboration with CPH City & Port Development (By & Havn). Covering 1.1 km the terminal will transform the area, with the large cruiseships during season and an active urban space off- season. Christensen & Co. Architects has been announced as winners of the competition for Green Lighthouse, a new CO2 neutral building for The University of Copenhagen. Full house at CCO’s housewarming to celebrate our two year anniversary and relocation to new premises. Thanks to all our clients, partners and friends for a good day and thanks for all the gifts. CCO has won the competition to develop a major new expansion of Stockholm University. 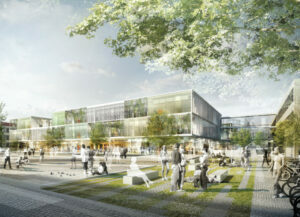 The new campus is one of Sweden’s most important campus´s for research and education and it will include facilities for residence, research and a new subway station. 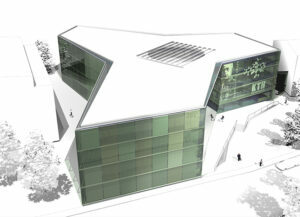 The project is a collaboration with Swedish BSK architects. Christensen & Co Architects has won an international tender for the design and construction of a biomedical research center in Stockholm. 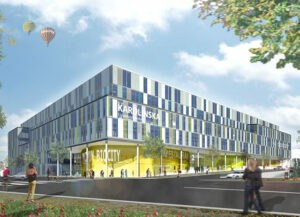 The project is 70,000 m2 and includes a total investment of more than 1 billion sek. The team also includes Landic Property. 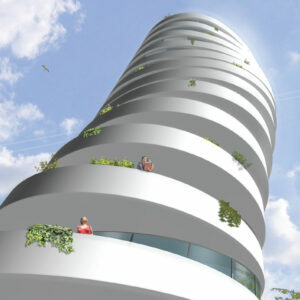 Copenhagen Municipality has just approved CCO’s project for a new tower, called Twister. Combining a new culture café at Amager Beach with residential apartments. The site has a unique location directly on the beach park with views of the sea and Copenhagen. CCO has won another prestigious international competition. 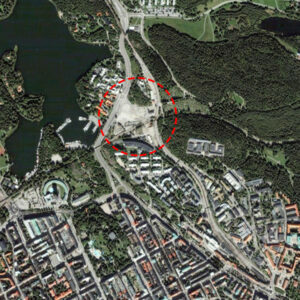 A new university center in Stockholm covering approximately 60,000 m2. The new campus is designed as an ensemble of circular buildings giving the university a strong and distinctive visual profile, whilst also creating inspiring and dynamic learning environments with focus on interdisciplinary creativity. 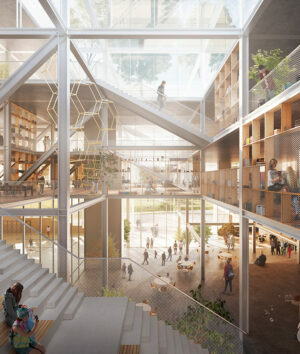 CCO has been announched as the winner of the competition for an ambitious new building for the Royal Technical University in Stockholm. The visionary building will become an icon for synergy and collaboration at the university campus. 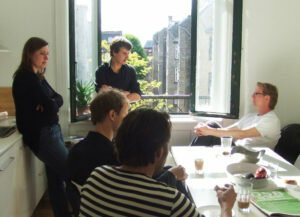 In May 2006 architect Michael Christensen started a new office: Christensen & Co. Architects (CCO). With the new office Michael realized his dream of establishing his own company, following a number of years as partner and creative director at Henning Larsen Architects.